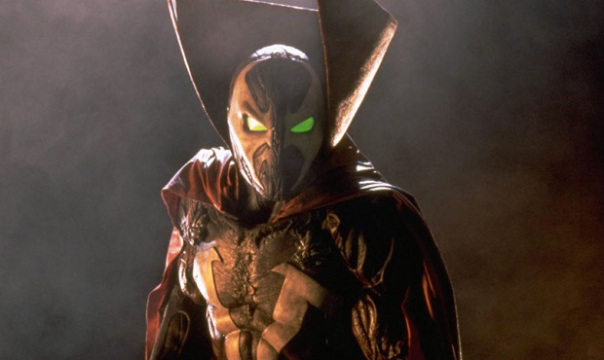 Todd McFarlane has been trying to make his Spawn movie so long that old rumors are suddenly new again. Jamie Foxx has been circling the lead role of Al Simmons aka Spawn since at least 2013, but since the movie never went anywhere it didn't happen. But now with Blumhouse backing it the project is closer to reality than ever, and Foxx is once again the top contender. Or at least that's what That Hashtag Show says, but you know to take their rumors with a dash of salt. This time it's Blumhouse who are said to be interested in Foxx, and if things go well then he'll finally get to play the character he's been wanting to for so long. Yeah, that's right, Shocker in Amazing Spider-Man 2 was probably not his first choice. The story goes on to reiterate some things we've known for a while. McFarlane plans to keep Spawn a rarely-seen but powerful force, similar to Jaws. And the main character will actually be Detective Twitch, of the popular Sam & Twitch duo from the comics. All of this makes sense for Blumhouse, who specialize in horrors and like to keep the costs low. The budget for this is said to be around $10M, so don't expect Spawn to be in every scene. An August start is being targeted, too, so expect to learn more soon.